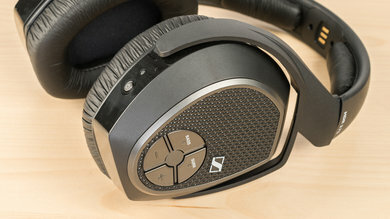 The Sennheiser RS 175 have the same design and build quality as the RS 165 but sound a bit worse for critical listening. They don't do as well with voices and instruments, and they have a bit too much bass. They're also not versatile enough to use anywhere but indoors in direct line-of-sight of the transmitter. On the upside, they're comfortable and have low latency for watching movies. Poor isolation and high leakage. The RS 175 are almost identical to the RS 165. They have a few minor changes; they're a bit heavier and have a slightly different texture on the back of the ear cups. 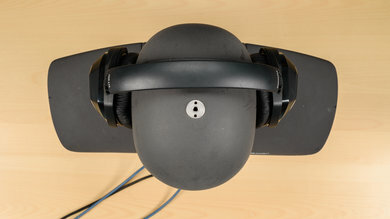 They also have an additional button to enable their surround sound feature on the right ear cup and their stand. They're decently well built and comfortable, but they're not stable enough for outdoor use. They also feel a bit cheap when compared to other headphones in their price range. 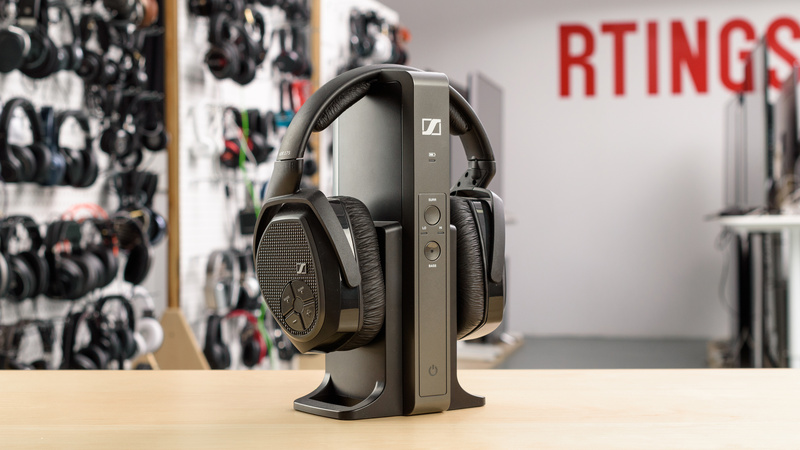 The RS 175 have the same form factor as the 165 and the rest of the RS series from Sennheiser. They come with a TR transmitter stand that also acts as a dock and a charging station. 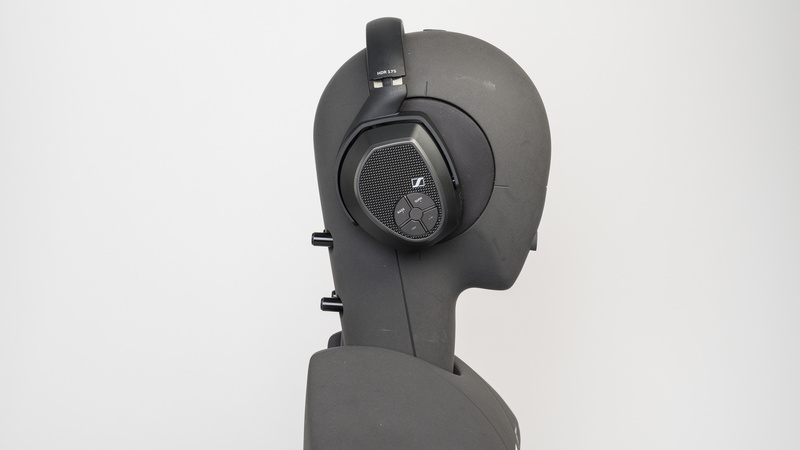 They have slightly different ear cups than the previous model with a textured finish on the back of the ear cups and an additional button for the surround sound effect. They're a bit bulky and not meant for outdoor use, so they're not the most fashionable headphones, but their simple and utilitarian design will work for most. The RS 175 have the same comfortable fit as the RS 165, but they're slightly heavier. Like the 165 they have spacious ear cups that are decently well padded. 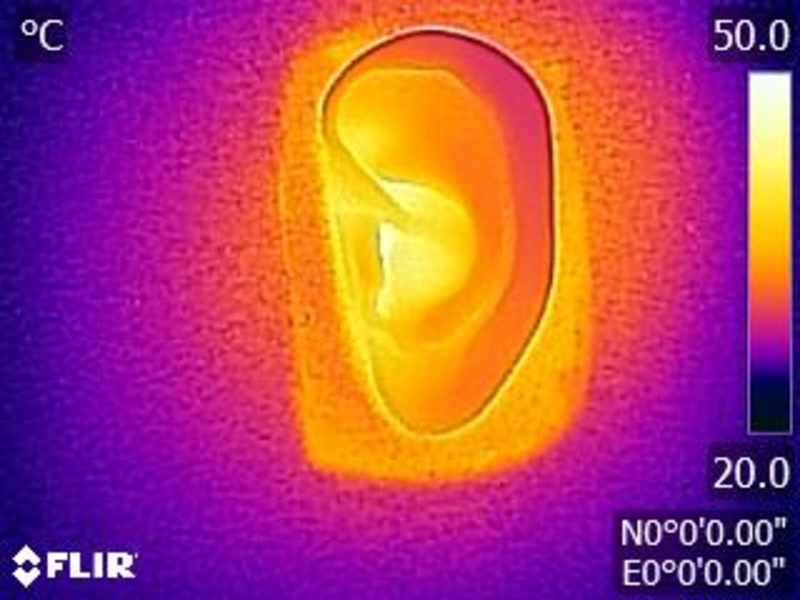 Unfortunately, they also have the same problem as the pressure they exert around your ears is not properly distributed. So after listening to them for a while, you might start feeling a little soreness between your ear lobes and your jaw. It's not painfully uncomfortable, but it's not ideal either. The RS 175 have an efficient controls scheme, but it's slightly limited. The buttons are responsive and provide basic functionality for volume control and two extra buttons for additional bass, and surround sound. However, they don't have any call/music functions, which is a bit disappointing but by design, they're not supposed to. The RS 175 are not portable headphones. They're quite large and do not fold into a more compact format. Also, since you need the stand for them actually to work, you most likely won't carry them around on your person. The RS 175 have a decently sturdy build quality. The headband is moderately flexible and reinforced with a thin metal frame. The ear cups too are decently dense, and a bit heavier than the RS 165 but aren't as durable as some of the other wireless over-ear headphones we've tested. The plastic used feels low grade and a bit cheap, so the ear cups might get damaged by a few accidental drops. The padding material also isn't as soft on the skin or as premium as some of the other headphones in their price range. It's a little disappointing, especially since you're going to be wearing these headphones for hours if you're watching a movie. The RS 175 are not the most stable headphones. 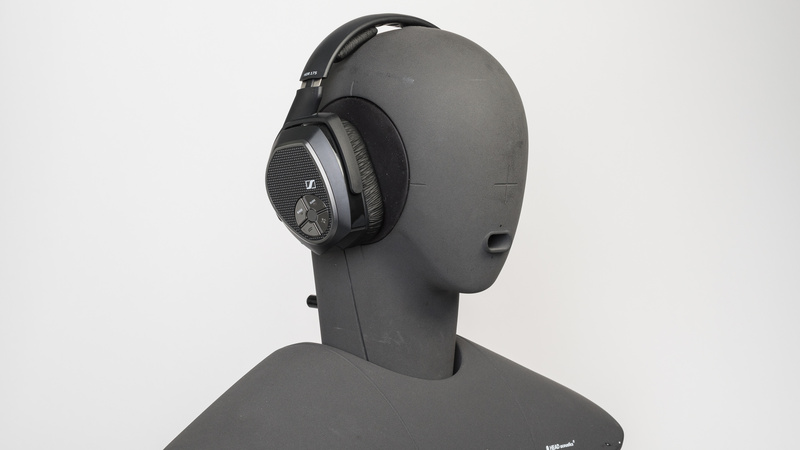 They're tight enough that they won't move much during casual listening sessions but unfortunately, their ear cups are heavier than those on the RS 165 and sway a lot under physical activity. This means they won't be good headphones for sports or working out. Also, they need to be in relative range to their charging dock so running in general with these headphones is impractical. 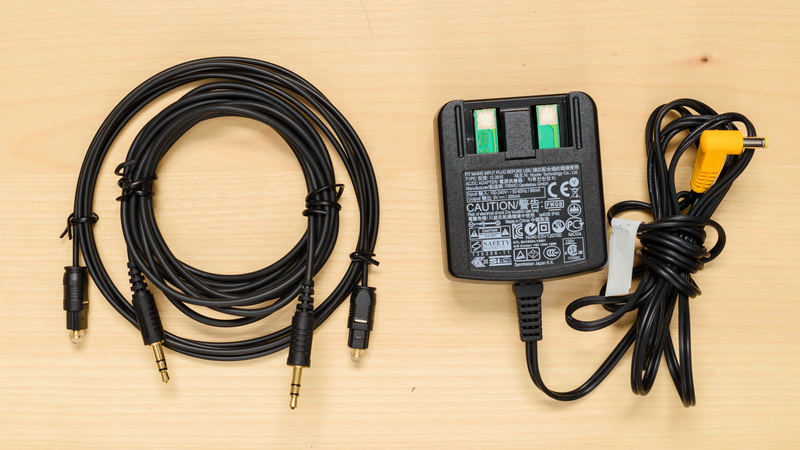 Comes with a 1/8" TRS audio cable, an optical audio cable and a power adapter for the TR 175 transmitter. The RS 175 are average sounding closed-back headphones with an extended but excessive Bass, a recessed Mid range and a good Treble. However, their Bass consistency is poor and highly dependent on the fit/seal achieved by the user. They have a mediocre distortion performance, and a poor Soundstage which is due to their closed-back design. Additionally, our test unit's L/R drivers were poorly matched, and we noticed intermittent drops in volume during our testing. Decent Bass Range performance. The entire range is tilted in favor of low-bass, which shows more than 6dB of overemphasis. This will make these headphones kick and rumble excessively, which would be unsuitable for certain music/films. Bass is also hyped by about 4dB, resulting in excess Bass which would drown out the Mid and Treble Ranges. Also, their bass delivery varies significantly across users, and is sensitive to the quality of fit, seal, and whether you wear glasses. The response here represents the average bass response and your experience may vary. Decent Mid Range performance. The dip from 250Hz to 700Hz makes the body of vocals/leads a bit thin, and could also push them slightly to the back of the mix. Good Treble Range performance. The response is relatively even and consistent. The 5dB peak around 3KHz, adds excess presence to vocals/leads. 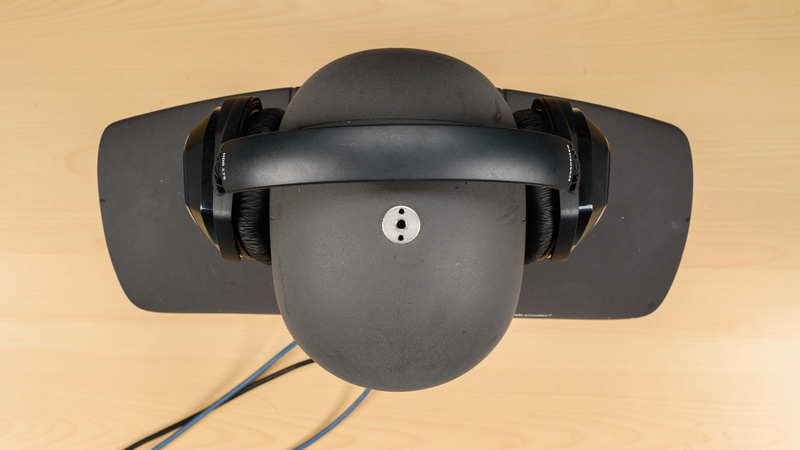 This and the excess Bass give a V shaped or smiley face sound profile to these headphones. Additionally, the small dip around 7KHz makes the sibilances (S and T sounds) slightly soft. Poor Consistency performance. The ear pads on the RS 175 are relatively stiff, and we suspect they are the culprit for the poor Bass Range consistency here. 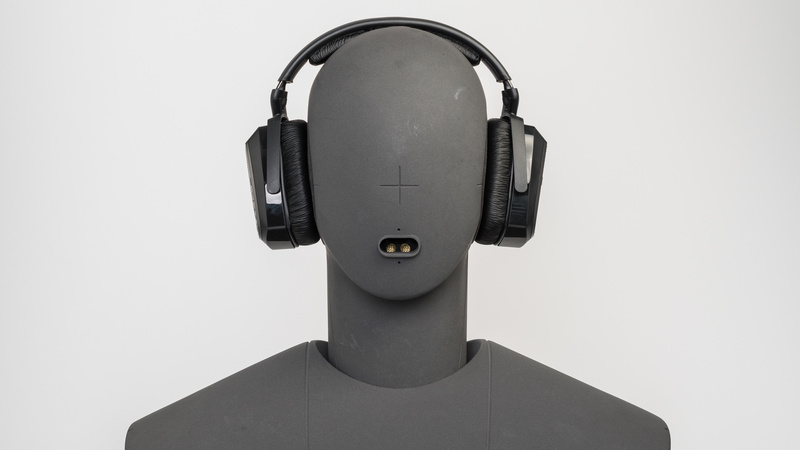 The Bass Range of our Over-Ear and On-Ear headphones are measured on 5 different human subjects, 5 times each. In the graphs, each line represents an individual's average Bass response. We have measured about 18dB of variance at 20Hz between our subjects which is quite bad. The blue line represent one of our subjects that wears glasses. Mediocre Harmonic Distortion performance. The RS 175 shows elevated levels of distortion in Bass and Mid ranges, especially at higher volumes. In the Treble range however, the amount of harmonic distortion is within good limits and not significantly affected by an increase in the volume. 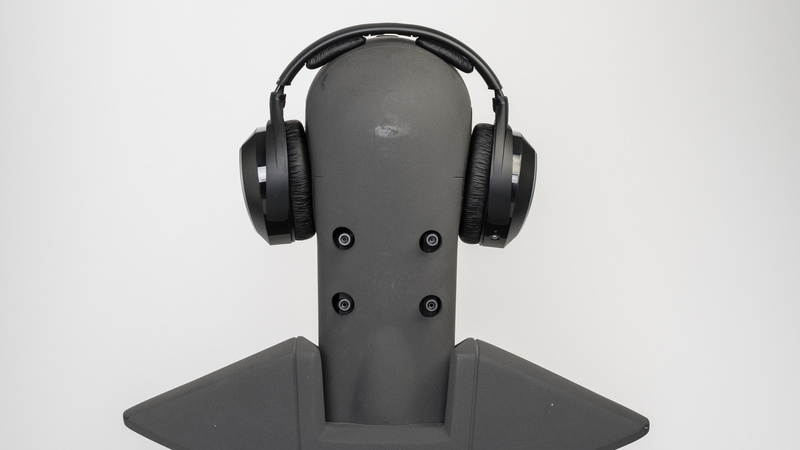 The RS 175 don't isolate well enough for loud environments.They can block some higher frequencies with the passive isolation of their ear cups. However, they don't have the best seal around your ears. Therefore, you will still be able to hear the ambient noise in your surroundings, even if your playing audio at relatively high volumes. Also, they're leakier than the RS 165 at higher volumes, so they will be a bit more distracting to the people around you. Poor Isolation. 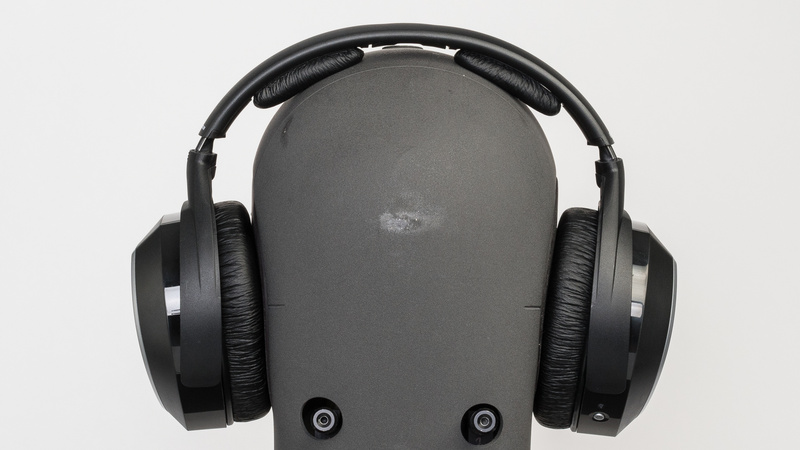 These headphones don't have active noise cancelling and isolate passively using their ear cups. 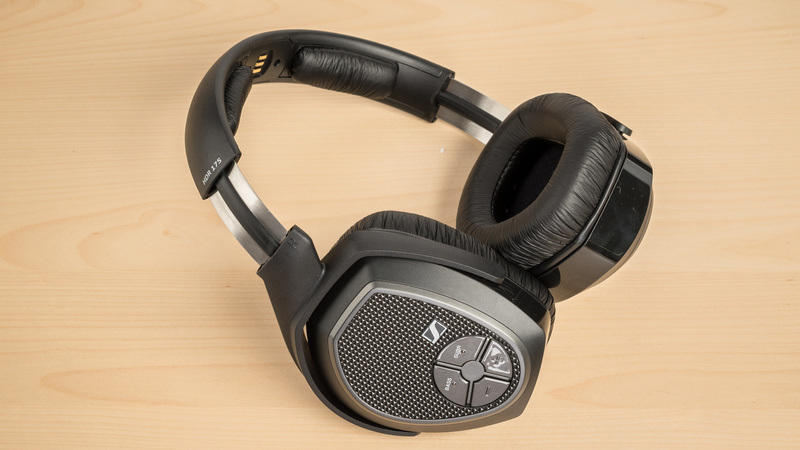 They start to kick-in around 150Hz, which is decent for passive over-ear headphones. In the Mid and Treble ranges they achieve about 13dB and 27dB of reduction, both values being decent. Poor Leakage performance. The stiff ear pads of the RS 175 seem to be responsible for the poor leakage of these headphones. 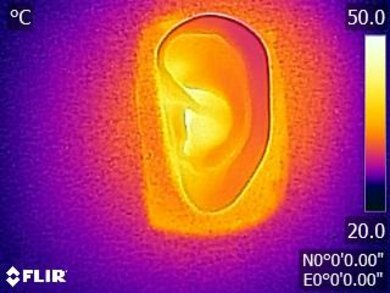 The significant portion of the leakage sits between 300Hz and 5KHz, which is a relatively broad range. The overall level of the leakage is also relatively loud. 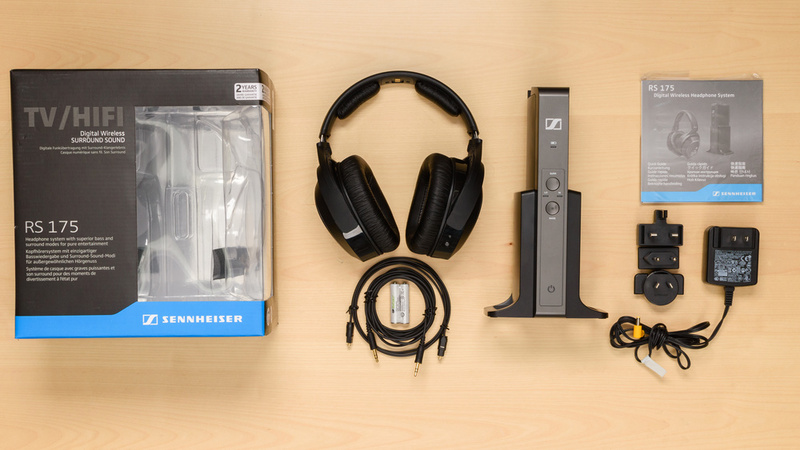 The Sennheiser RS 175 have low latency for watching movies and a good battery life. They use two rechargeable AAA batteries that can be charged directly with the stand. However, it takes really a long time to charge them that way and varies depending on the capacity, age, and wear of the batteries. Unfortunately, radio frequency headphones, like most of the RS series from Sennheiser, don't have the best range when obstructed so unless you're directly in front of your source you won't have the most stable and reliable wireless connection (see our recommendations for the best Bluetooth over-ear headphones). The RS 175 like the 165 have a good 24-hour battery life. They also use rechargeable AAA batteries that can be charged with the stand but it takes more than 8 hours for a full charge which is very limiting. However, the charge time is heavily dependent on the capacity, age and wear of the rechargeable batteries you use, so your charge time will vary. Also, you can always just swap out the AAA with new non-rechargeable batteries which may be less cost effective but has 0 charge time. 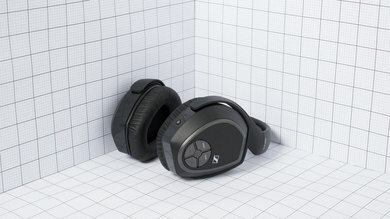 The RS lineup from Sennheiser uses radio frequency for their wireless connection instead of Bluetooth. 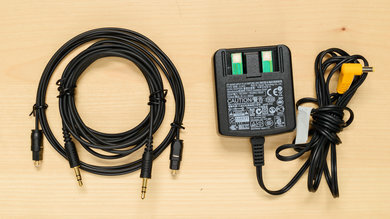 For latency, it's great as they rarely have any sync issues when watching videos or gaming and they also connect immediately with their transmitter stand, so there is no need for pairing. Unfortunately, they don't perform as well regarding range. In direct line-of-sight, they do reasonably well, but once the stand is obstructed, the range is significantly reduced to about 30ft, which is a bit more than the RS 165 but not by much. You won't be able to walk around your home with the headphones on and continue listening to your audio. However, if you're directly in front of your TV or a fixed source, then the range shouldn't be much of an issue. The Sennheiser RS 175 are good home theater headphones but only average for mixed usage. They're not versatile enough for all environments and situations, and the stand transmitter limits their use outdoors. 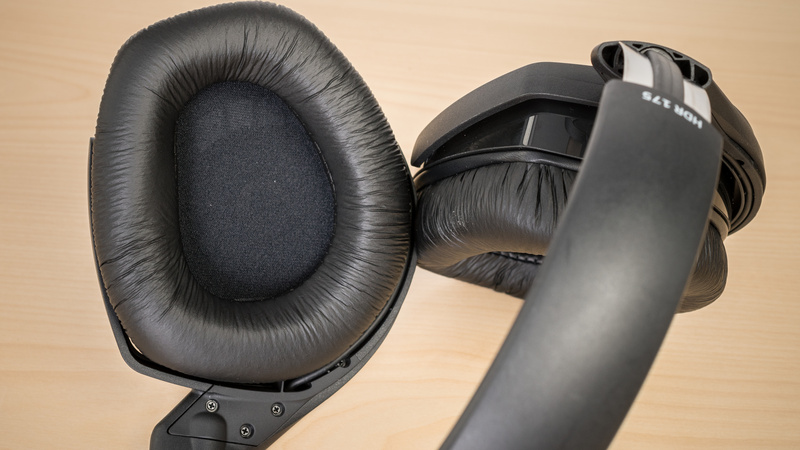 If you're not in direct line-of-sight or close to your source and the transmitter, then the headphones are practically unusable. Average for critical listening. These RS 175 are not as good for critical listening as the RS 165. They have a bit too much bass that makes them sound boomy, especially, since they lack a little mid-range. Instruments and vocals will be a bit more drowned out than on the RS 165. On the upside, they have a better treble and due to their bass and treble heavy response, they will sound exciting when watching movies you just might not hear the voices as well. Not suitable for commuting and traveling. The fact that you must have the transmitter in range means they won't be the ideal headphones to use anywhere but at home or at the office in front of your Tv or PC. Not intended for sports. They have a fixed transmitter, they're bulky and a bit unstable which is not ideal for running or working out. Average for office use. They have a decent line-of-sight range, they're comfortable and easy-to-use. However, they're a bit leaky and they don't isolate enough for particularly noisy office environments. Above-average for home theater use. These headphones are made for watching movies so they have a good, well-balanced sound and a decently low latency. However they do not perform as well as the RS 165.